Hide this Project (Ace Octave) Discover properties in other projects by hiding the ones that doesn't interest you. You won't see them in your searches further but you can unhide anytime later. Hide this Dealer (Suryakant Patel) Discover properties by other dealers by hiding those whom you have already spoken to. You won't see them in your searches further but you can unhide anytime later. Hide this Dealer (CHANDNI RATHORE) Discover properties by other dealers by hiding those whom you have already spoken to. You won't see them in your searches further but you can unhide anytime later. Hide this Dealer (Navneet Parmar) Discover properties by other dealers by hiding those whom you have already spoken to. You won't see them in your searches further but you can unhide anytime later. Hide this Dealer (Kishor Bankar) Discover properties by other dealers by hiding those whom you have already spoken to. You won't see them in your searches further but you can unhide anytime later. Ace Octave is a residential project developed by Ace Construction Company. The project offers well designed 2BHK apartments. The society is equipped is with all the basic amenities to cater the needs of its residents. The site is in close proximity to various civic utilities. Where is Ace Octave located? Kalali, a prime residential locality for house seekers in Vadodara. What size of flats are available in Ace Octave? The apartment size in the project is 1065.0. 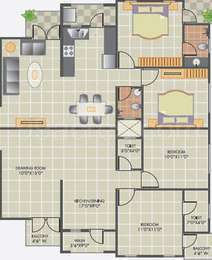 What is total area of 2 bhk in Ace Octave? The area of 2BHK units in the project is 1065.0 sqft. What is total price of 2 bhk in Ace Octave? The price of 2 BHK units in the project ranges from Rs. 2500000 to Rs. 3800000. What are prices of apartments in Ace Octave? Prices of apartments in the project range from Rs. 2500000 to Rs. 3800000. How many number of towers are there in Ace Octave? With 8 tower, the project offers 118 housing units.